Today's successful Thought Leaders have the ability to think creatively outside the box. Thought Leaders are bosses at the cutting edge who transform industries and firms. They change the rules by which management operate. They are often entrepreneurs, like Steve Jobs at Apple, but they can also work within institutions, like Terry Leahy at Tesco. Jobs shook up the music, mobile and computer industries. Leahy has helped revolutionise the grocery business. They did it by pursuing original strategies and executing brilliantly. Being an agent of change is not easy. The status quo, both within an organisation and a marketplace, will passively resist upheaval through inertia - while vested interests and competitors will fight back more aggressively. Innovation is a hallmark of a Thought Leader. New concepts alone are not enough: what is required are practical and scalable improvements that can be adopted in the real world. A great example is S C Johnson - the US household products giant of Johnson's Wax fame - whose Greenlist system promotes sustainable manufacturing by rating ingredients according to how green the process used to create them is. Sheer purchasing might has helped radically alter behaviours in its supply chain. The leaders of today are pushing the boundaries to create enduring enterprises. However, Thought Leadership is not just about the innovation itself, it is also about the ability to secure recognition for innovation. Businesses must carefully manage the marketing and communication of their brands, otherwise they run the risk of their investment being overlooked by the market and customers. The recent history of motoring is a case in point. It is an often overlooked fact that Honda's two-door Insight beat Toyota's Prius to the market as an affordable hybrid by a full year. However, Toyota's heavier marketing spend and celebrity endorsements have meant its brand, and not Honda's, has become synonymous with green engine technology. It is much easier for small and entrepreneurial firms to be groundbreakers than multinationals. Large organisations have thousands of staff, dozens of facilities and vast momentum that militates against experiments. For executives, the punishment for failure can be greater than the rewards for success - so taking risks is hard. By contrast, start-ups generally have nothing to lose. Unfortunately, we all become more conservative as we age. And because boardrooms are mainly populated by managers over the age of 50, the appetite in the executive suite for bold moves is limited. The classic example of how this can play out is the media industry. Here, enormously profitable players in TV, radio, newspapers, directories, magazines, books, film and music are steadily seeing their revenues and margins erode thanks to the digital earthquake. But revolution for the establishment has been very difficult. Thus, Silicon Valley innovator upstarts such as Google, Apple, Amazon and others have been eating the entertainment industry's lunch. I am surprised the content providers have been so passive in the face of this onslaught. Where are the Thought Leaders reinventing the legacy media companies? This has implications not simply for these businesses, but also for our culture: Britain punches way above its weight in the creative industries worldwide - and if Silicon Valley captures those revenues, then our influence will surely wane. Thought Leadership is about compromise and realism. Big promises and poor delivery are of no use. The world wants capitalism to deliver new products and better value. 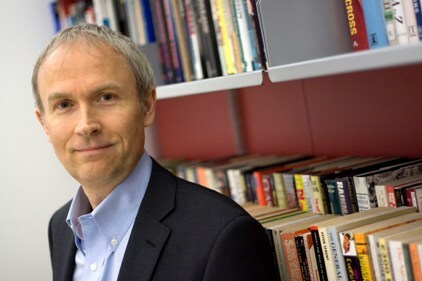 Luke Johnson is chairman of Risk Capital Partners and the Royal Society of the Arts.